Misaligned or crooked teeth do more than ruin your smile. Since they are more difficult to clean, the chances tooth decay and gum diseases increase. Braces are widely used for teeth straightening. However, traditional or metal braces are uncomfortable, unattractive and come with a few hassles. Invisalign or clear braces on the other hand, are far more convenient and offer a host of advantages. We at Coral Dental offer exceptional Invisalign treatment which is quick, effective and convenient. Metal braces are often disliked by majority of people who opt for teeth straightening braces because of their bulky appearance. They are highly noticeable due to the metal brackets and wires. 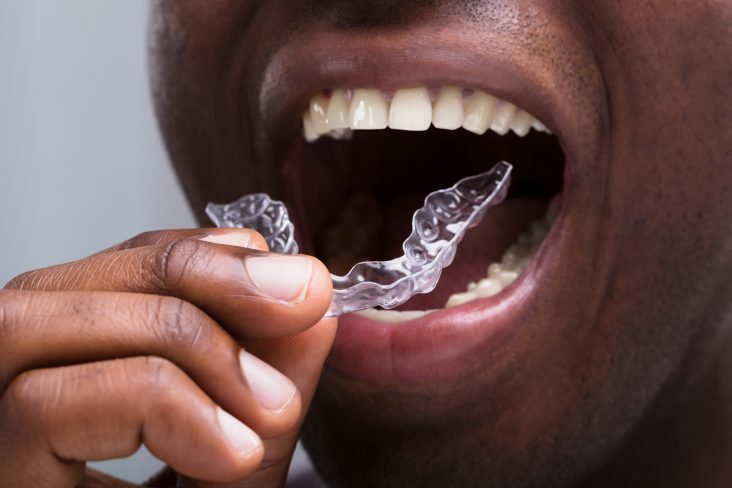 Invisalign braces on the other hand are virtually invisible as they are made from clear plastic. This gives them an aesthetic advantage over the metal braces. 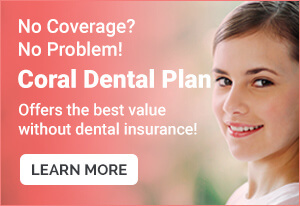 Conventional braces cannot be removed at will. They can only be professionally removed. However, Invisalign braces are removable for brief periods of time. You can easily take them off while eating, drinking or cleaning your teeth. This makes activities such as chewing or cleaning teeth easy as opposed to the metal braces which cannot be removed at your convenience. Traditional metal braces are made up of wires and protruding pieces of metal which may scratch the insides of your mouth and gums. Clear or Invisalign braces are smooth trays and do not include any protruding or sharp edges. This makes them safer as compared to their traditional counterpart. Also, conventional braces can lead to demineralization and decaying of teeth apart from using a great deal of force for teeth straightening. Clear aligners gently exert the right amount of force to shift the teeth back into their correct places. 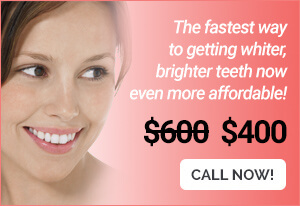 A specialized computer program is used for Invisalign treatment which enables improved treatment planning. The patient knows exactly how the treatment will proceed and what can be expected from it. Teeth straightening treatment involving metal braces may be a trial and error situation. Oral hygiene routine does not become a challenge with Invisalign. Since they can be easily removed, brushing and flossing can be done as usual. Since metal braces cannot be removed at will, the brackets and wires make brushing and flossing difficult. Besides, food particles can easily get stuck between your teeth, brackets and wires. This increases the risk of tooth decay and cavities. With traditional braces, there are a lot of restrictions on the types of foods you can eat. For instance, pizza crust, popcorn, chewy or hard candies and whole fruits and vegetable are to be strictly avoided. Invisalign braces can be removed for short durations of time for activities such as eating or cleaning teeth. Hence, you can eat foods of your choice without worrying about damaging your teeth or the braces. In case you want to learn more about the advantages of Invisalign treatment and why you should choose Invisalign braces for teeth straightening, contact us today. 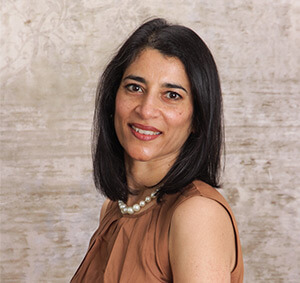 Dr. Anu Isaac, DMD, runs a successful dental practice in Salem, MA. Dr. Isaac strives for quality on a daily basis and this commitment to quality is reflected in her constant pursuit of advanced training. Her firm belief that even experts need to stay updated about what’s new in the dental field, enables her to provide every patient with optimal oral care. As the founder of Coral Dental Care, she is dedicated to creating healthy, beautiful smiles for her patients and also to educating dental and non-dental community with her engaging articles on all things related to oral health, recent dental innovations, and latest treatment modalities.